Most European cities can be deadly quiet in August, so we want to be sure that you’ll have loads of fun during your holiday in Belguim. Therefore, we’ve made you a complete list of our favourite upcoming events in Belgium’s main cities. Enjoy it. Klinkers (July 27 – August 8 ) One the most popular events among Bruges’ youth, Klinkers open-air festival, has a lot to offer tourists too. Enjoy the magic of an entire day immersed into superb live music, films and comedy shows in amazing venues throughout the city centre. We at P&O Ferries can assure you it won’t be a let down. MA Festival (August 3-12) If you’re hungry for knowledge then you’ll be happy to know that a wave of culture is about to invade Bruges. The MA festival will turn your holidays into a memorable cultural journey thanks to an incredibly wide variety of events such as nocturnal concerts, lectures and international organ and instrumental ensembles. Do you want to attend any of these events? P&O Ferries have convenient ferries to Zebrugge, which is only a 30-minute drive from Bruges. Maypole Festival (August) If you’re a fan of out-of-season extravaganza you’ll probably enjoy this one. For centuries, a maypole (or Meyboom) has been raised in Brussels every August to commemorate a wedding that took place in 1213. Even if you’re not into maypoles you’ll certainly enjoy the costume parade that accompanies the pole to the Grand Place. It’s one of the most popular events among locals, and guaranteed fun! 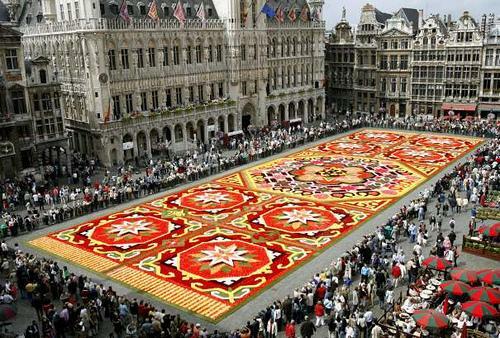 Brussels Flower Carpet (August 14-19) Every two years an unusual carpet made of flowers covers Brussels’ most beautiful square, Grand Place, which is an UNESCO World Heritage Site. Nearly a million colourful begonias are set up over a 19,000 sq ft. area to portray beautiful scenes from Belgian history and folklore. A must see (and smell) for both adults and children. Brussels is a short journey from Zeebruggee port , one of P&O Ferries destinations. Navigaytion/Gaypride (August 6-12) No matter where you are, Gay Pride is one of the most extraordinary manifestations of human tolerance and, let’s face it, loads and loads of fun (and often drunkenness). But in Antwerp, Gay Pride has a unique meaning. Here the gay community is particularly vast and well integrated, a reason why the programme makes the most of the venues throughout this beautiful city. Get ready for art exhibitions, dj performances, parades, street parties and much more. Rubensmarkt (August 15) While some countries are busy celebrating the Assumption of the Virgin Mary, Antwerp keeps its feet on the ground and commemorates the greatest Flemish painter of all time, Sir Peter Paul Rubens. For this occasion the area around the Grote Market goes back in time and fills with market stalls recreating Rubens’ beloved Antwerp. 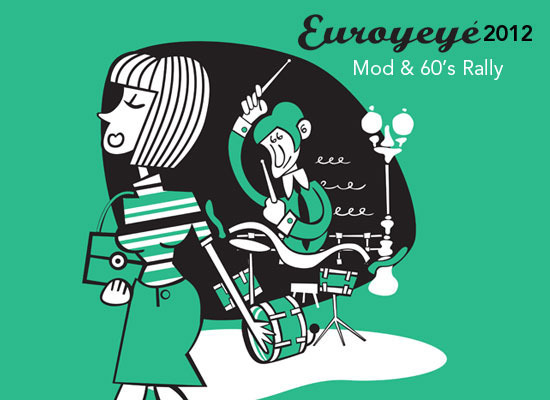 Lovers of vintage shopping will be in heaven. Only 40 minutes away from Brussels, Antwerp can be easily reached by car from Zeebrugee too. Travelling around France in the coming weeks and not sure what to do? The period between late July and early August is not the busiest as most French people take their holidays then. But no need to panic, here is a list of events you may want to attend on your French holidays. Paris Plages/Paris Beaches (July 20-August 19) Let’s hope for sunny weather during your Parisian holiday. 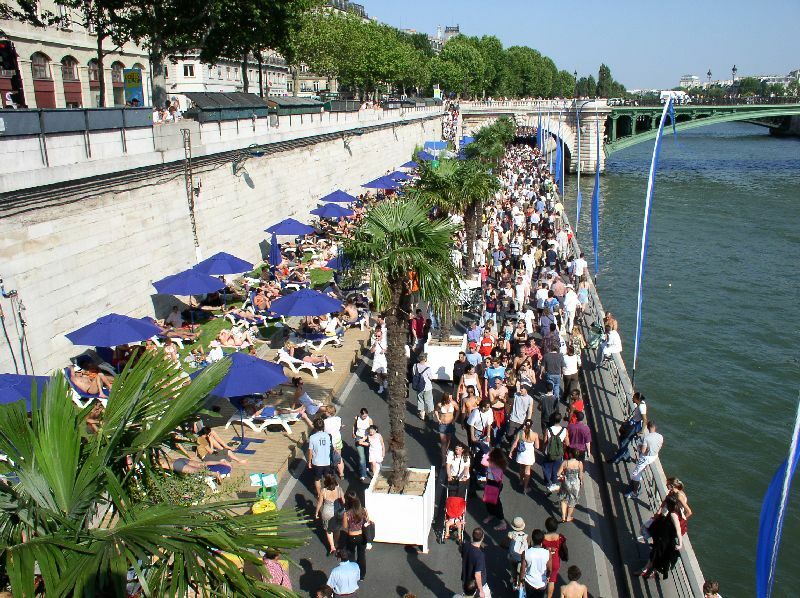 For the tenth year in a row, the Seine banks and many other spots across the whole city turn into full-fledged beaches. The incredibly extensive programme offers activities that will certainly entertain both adults and children: beach volley, water sports, aqua gym classes and evening concerts are just some of the ingredients for a memorable tropical holiday in the heart of Paris. Tour de France (July 22) If you’re a fan of cycling, you can’t miss this one. On July 22 the 99th Tour de France, the world’s most prestigious cycle race, finishes on the famous Champs Elysees. Strong emotions are guaranteed for the final stage, a moment that will certainly make for an unforgettable holiday. Get your handkerchief out and watch the cyclists pass the finish line. Rock en Seine (August 24-26) Just outside the Parisian borders in the Domaine National de St. Cloud, Rock en Seine is France’s biggest rock music festival. Enjoy three days of superb rock music immersed in a melting pot of spectators and get ready for this year’s big names: Green Day, Placebo, Deus and The Black Keys. Les Musicales de Normandie/Normandy Classical Music Festival (June 16 – September 2) Over the summer, Normandy fills with classical music thanks to Normandy Classical Music festival. The aim is to promote local architecture through concerts in churches and abbeys. The festival honours some of the greatest orchestras in France and voices such as Sophie Marin-Degor, Chantal Santon, Magali Léger and Marie Gautro. You can download the full programme here. Les Terrasses du Jeudi Festival / Terraces on Thursday (until July 26) Scattered across some of the most beautiful spots in Rouen, Les Terrasses du Jeudi offers great quality rock, jazz and hip-hop performances by regional and national musicians. As the name suggests: If you don’t want to miss the fun, be there on Thursdays. Medieval summer at the Sedan castle (July-August) While on a family trip in the Champagne area you probably want to avoid wine tasting sessions as kids and a hangover isn’t exactly a good combination. Instead, why not spend the day at the Sedan Castle, the largest castle in Europe? During the summer, there are tournaments of chivalry open to the public, which include spectacular fights between medieval knights trying to knock off their enemies with lances and swords. Great fun for the whole family! Troyes Street Festival (July 20-August 26) Troyes Street festival is a great opportunity to discover the local millenary history from an original perspective. The festival offers an attracting variety of theatre performances with a special focus on local heritage, a must see if you’re hungry for knowledge. Driving to France is super easy thanks to P&O Dover-Calais ferry and its 25 daily crossings. Planning to travel around Holland this summer but panicking over what to do? No worries, we’re here to help. We’ve examined Holland’s top festivals and celebrations and here’s the definitive guide to the best upcoming events for summer 2012. Gay Pride festival (July 28 – August 5) There is something to experience for everyone at the Gay Pride festival and, needless to say, Amsterdam’s edition is no exception. This year’s program is incredibly extensive, including sports and numerous cultural initiatives, but the climax of the Festival is the canal parade on the 3rd: a powerful and slightly naughty celebration of diversity and fun across Amsterdam’s stunning network of canals. Comedytrain International Festival (June 27- 4 August) Laughter is the cornerstone of any memorable summer trip, which is why P&O Ferries suggests you to visit the Comedytrain International Festival, possibly Europe’s largest stand-up comedy event. Performances are in English and the organizers have managed to get some of the world’s best comedians booked, such as Adam Hills (Australia), Eddie Bannon (Ireland), Adam Bloom (UK), Paul Provenza (US) and Ron Vaudry (Canada). Hartjesdagen/Little Hearts Days (August 17 – 19) For one weekend a year Amsterdam’s men and women experience the true meaning of being soul mates, literally ending up in their partners’ clothes. According to folklore, the origins of this cross-dressing festival go back to a time of the year in the Middle Ages when plebeians (yes, that’s you) were allowed to hunt deer, an activity normally reserved for nobility. The connection with today’s extravagant celebration is hard to see, but still, we believe you’ll have lot of fun with this one. Amsterdam is just a one-hour drive from Rotterdam, one of P&O Ferries’ main destinations. City Racing Rotterdam (August 26) Every year in August the City Racing Festival breathtaking demonstrations by top international race car and F1 drivers to the heart of Rotterdam. This year’s special guest will be first-class F1 driver Nico Rosberg from Mercedes GP team. A must-see for all petrol heads. Zomercarnaval (July 28) One of the largest parties in Europe, Zomercarnaval will add a tropical flavour to your Dutch holidays. Every year Rotterdam’s summer carnival is peacefully invaded by more than one million people from all over the world. We recommend the Battle of Drums, a music event where over a hundred percussionists try to, literally, beat each other into submission. Day of romantic music (August 12) If you’re visiting Rotterdam with your other half you don’t want to miss one of Europe’s most romantic moments. If you dedicate an entire day to relaxing at Het Park, you‘ll discover numerous concerts scattered across this renowned venue. Expect to see and hear everything from classical and popular romantic music to arias and gipsy folk. Pleinbioscoop (August 15- 21) Have you ever watched a movie under a starry sky? Well, in Rotterdam there’s a first time for everything: enjoy the latest hits from the world cinema right in the heart of Museumpark, a venue well-known for its unique atmosphere. P&O Ferries has a convenient overnight ferry from Hull to Rotterdam: only £189 each way for 2 people with a car and your own ensuite cabin. Wherever you’re staying in Holland this summer get ready for out-of-season carnival! For the 22nd year in a row between June and August De Parade theatre festival travels though Holland’s major cities filling public spaces with dance and theatre performances, fine restaurants and DJ performances. Kicking off in Rottterdam’s Museumpark, De Parade’s summer extravaganza passes thorugh Demn Haah (6-15 July), Utrecht (20 July – 5 August) and Amsterdam (10-26 August).